In this luminous novel, Dominic Smith reinvents the life of one of photography's founding fathers. In 1839, Louis Daguerre's invention took the world by storm. A decade later, he is sinking deep into delusions brought on by exposure to mercury, the very agent that allowed his daguerreotype process. Believing the world will end within one year, he creates his "Doomsday List," ten items he must photograph before the final day. It includes a woman he has always loved but has not seen in half a century. Paris in 1847 was a city of Bohemian excess and social unrest. 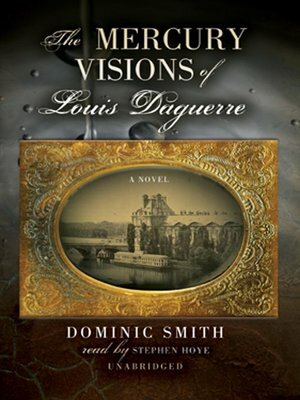 Into this strange and beguiling world, Louis Daguerre sets off to capture his doomsday images, with the help of the womanizing poet Baudelaire and a beautiful prostitute named Pigeon, in this moving story of ruined love, fame unraveling, and a prodigious mind coming undone.